hard s.s steel impored quality. We are engaged in offering excellent Jet Card Holder to the customers at highly competitive prices. 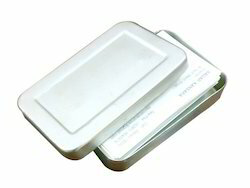 These Jet Card Holder are made by employing the most modern technology and machinery. Moreover, we offer a range of products to the customers in perfect packaging done by our team of experts. We are manufacturer and exporter good quality this card holder, raw material like brass card holder colour card holder decorative card holder. We are one of the leading manufacturers and exporters of high quality Visiting Card Holder in Steel. This is a card holder desktop item with watch and pen and can be placed on the desktop.We can view the time and cards can be placed in convenient way. 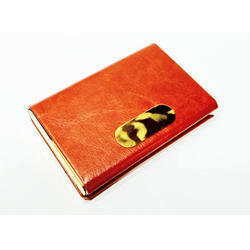 Our range of Steel Card Holder is stylish and durable at the same time. Extremely helpful in organizing the important cards, these holders are a mark of professionalism and are available at very economical prices. We are known to be a brand delivering the best products in the market. These Visiting Card Holders are made is metal. The Logo is engraved on these. Personalised Visiting Card Holders are also possible.